Vegeta is a universal, great tasting all purpose seasoning made from a special blend of the finest vegetables, herbs, spices and selected natural ingredients. 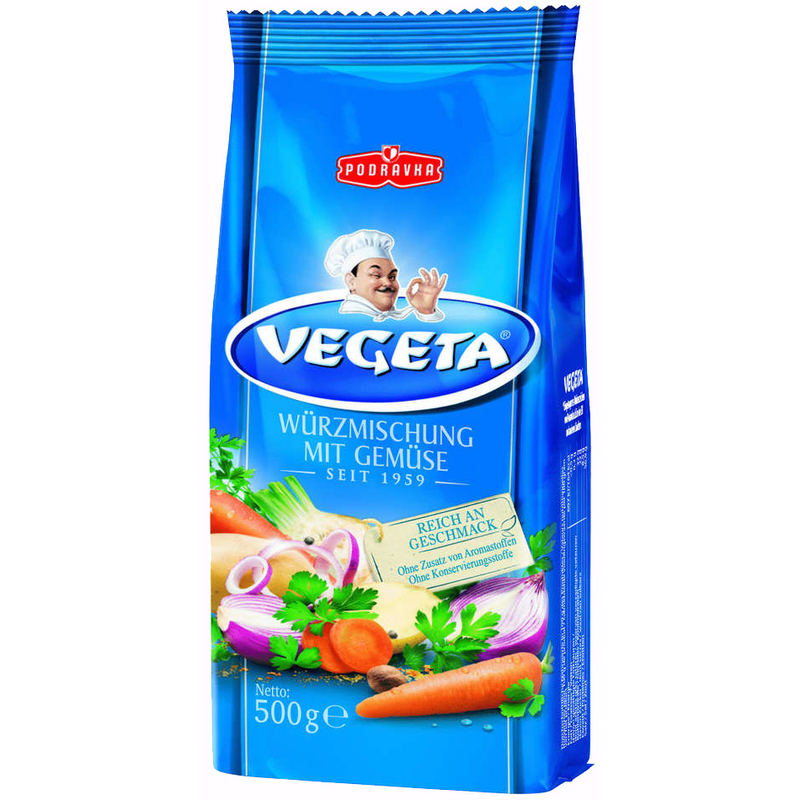 Vegeta is a universal, great tasting all purpose seasoning made from a special blend of the finest vegetables, herbs, spices and selected natural ingredients. It has been the gourmet cook's long time secret to making any food taste absolutely delicious – without compromise. Salt, dried vegetables in varying proportions by weight 15.5% (carrots, parsnips, potatoes, onions, CELERY, parsley), flavor enhancers (monosodium glutamate, disodium inositol), sugar, spices, corn starch, color (riboflavin). Speisesalz, getrocknetes Gemüse in veränderlichen Gewichtsanteilen 15.5% (Karotten, Pastinake, Kartoffel, Zwiebel, SELLERIE, Blattpetersilie), Geschmacksverstärker (Mononatriumglutamat, Dinatriuminosinat), Zucker, Gewürze, Maisstärke, Farbstoff (Riboflavin).